Ferroportin is the only known iron exporter, and its regulation seems to be controlled at both transcriptional, post-transcriptional, and post-translational levels. The objective of the current work was to investigate how cellular iron status affects the expression of the ferroportin gene Fpn under the influence of hepcidin, known to post-translational lower the available ferroportin protein. 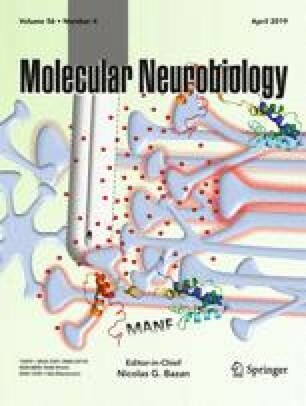 Nerve growth factor-beta (NGF-β)-differentiated PC12 cells, used as a model of neuronal cells, were evaluated in terms of their viability and expression of ferroportin after inducing cellular iron overload with ferric ammonium citrate (FAC) or hepcidin, iron deficiency with deferoxamine (DFO), or hepcidin in combination with FAC or DFO. Ferritin mRNA was significantly upregulated following treatment with 20 mM FAC. The viability of the differentiated PC12 cells was significantly reduced after treatment with 30 mM FAC or 1.0 μM hepcidin, but when combining FAC and hepcidin treatment, the cells remained unaffected. The expression of Fpn was concurrently upregulated after treatment with FAC in combination with hepcidin. Fifty millimolar DFO also increased Fpn. Together, these data point towards a transcriptional induction of Fpn in response to changes in cellular iron levels. Epigenetic regulation of Fpn may also occur as changes in genes associated with epigenetic regulation of Fpn were demonstrated. A correction to this article is available online at https://doi.org/10.1007/s12035-018-1282-7. We thank Poul Henning Jensen for providing PC12 cells and Merete Fredsgaard and Hanne Krone Nielsen, Aalborg University, Denmark, for the excellent technical assistance. We thank Assistant Professor Maj Schneider Thomsen, Aalborg University, Denmark, for the illustrative work.